Up For A Beer-y Good Time? Some mornings, say Sunday mornings for instance, demand beer early in the day, don't you think? One because drinking some more is the perfect way to nurse last night’s hangover. Plus, one can’t drink…to hell with these justifications. In our heads, any time is good for beer. And why not! On that beer-y good note, here are some places in Mumbai that serve beer as early as 8 AM. Cutesy interiors that turn quirky very quickly, Jamjar Diner is known for their healthy breakfast options. But since so much healthy eating didn’t do much good to anyone, they also serve beer (and other alcohol) beginning 9 AM every morning. What’s the best part? They serve their breakfast menu till 4 PM, so even if your definition of morning starts after noon, they still have you covered. Even though Café New York rises up as early as 7 AM, they start serving beer only after 11 AM, with breakfast options, of course. Head here for their yummlicious pastas, burgers, keema pav and sandwiches. Covered under Mario Miranda’s artwork that explains Mumbai’s character without talking is Café Mondegar. One of the oldest and the most iconic places in the whole of Mumbai, Café Mondegar a.k.a Mondy’s is a crowd favourite with one-of-a-kind juke box and a yummy range of preparations. While this place opens at 7.30 AM, the first two hours are reserved for morning chai and bun-maska. But the moment the call strikes 9.30 AM, you can order your chilled pint to sip with their breakfast menu. Just like any time is good for beer, Social is almost like home where you can choose to chill anytime. 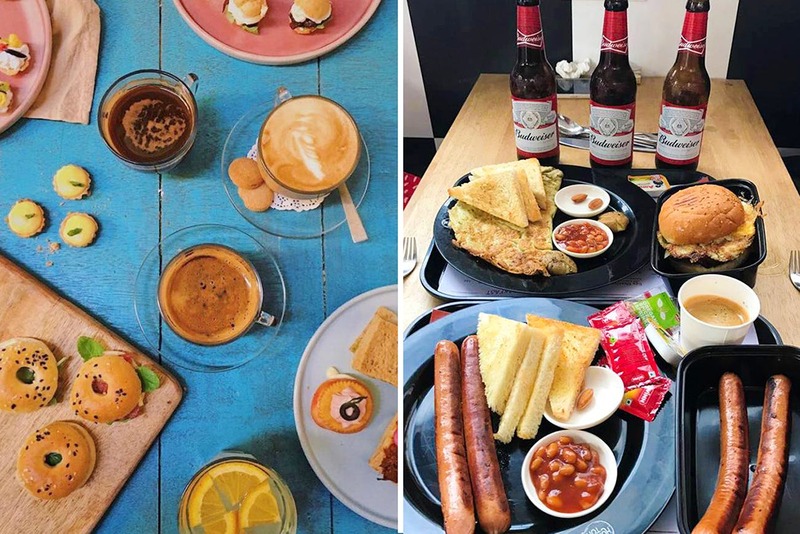 If you’re not exactly a morning person, but still like your breakfast, head to Social Khar that will serve you exciting options till late in the day with beer service starting at 11.30 AM. Located in Malad West, this tine hole-in-the-wall café is nothing, but a narrow lane fitted with benches, and done up with super quirky pop-culture references on the walls. An entirely self-service place, Honky Tonk starts serving beer early in the morning, just as it opens at 8 AM. Their chicken lasagne, pasta and chicken-mayo sandwiches are to die for.